Summer Kick Off Sale Just Got Better!!! 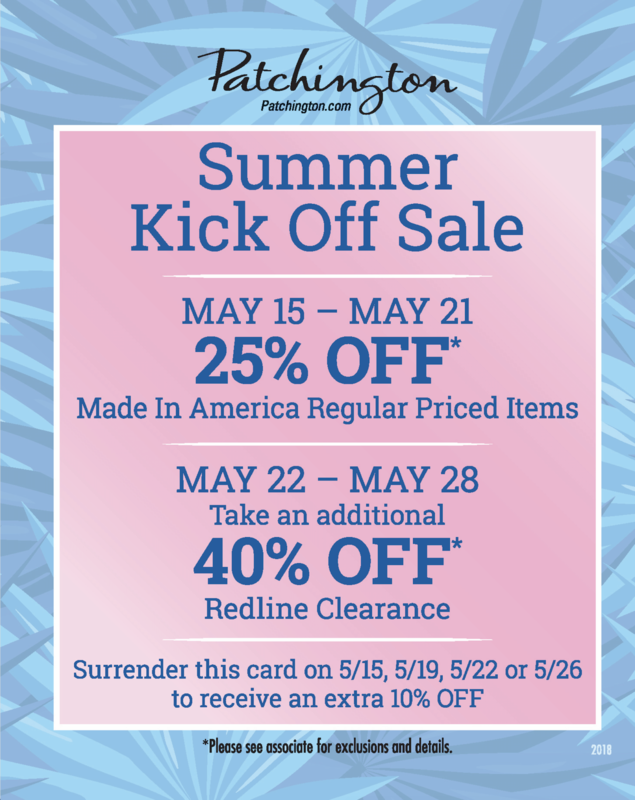 Patchington has changed their Summer Kick Off Sale and made it BETTER!!!! May 15 through May 21 Take an EXTRA 25% OFF Regular Price merchandise not just made in America items. Bring in this posting between 5/15 and 5/19 and SAVE 35% OFF!!! !